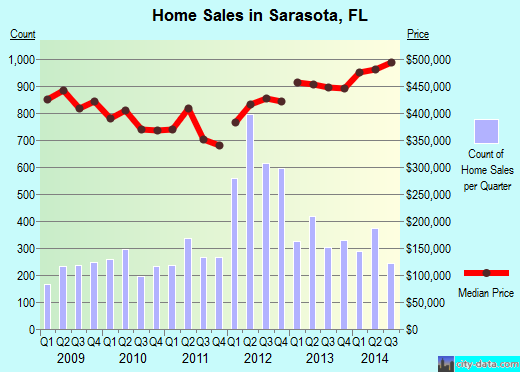 Today’s market in Sarasota has vastly improved from the conditions we experienced in 2009-2011. Some price points are actually seeing multiple offer situations, something we have not experienced since the years prior to the real estate bust of 2006-07. Our inventory is also at a 11 year low, signs that the recovery is getting underway in our market. The chart at the left displays the trend for the last few years, as you can see we recently had a tick upwards in the median price and we are finally seeing price moves in the right direction. New home building has also seen a recovery. Despite all the doom and gloom stories you hear in the media, many builders in Lakewood Ranch have had a very good year and the out of state buyers we work with are extremely surprised to discover that there really are very few deals left to be had in our market. Everyone keeps saying it is going to get worse and there are more foreclosures on the way which will drive prices down. …We have been hearing that for the last 24 months and nothing has gotten any worse. We deal with the real estate market daily and the opposite of what everyone is saying is what is actually happening and that is just plain fact. The recovery in our market has been underway for quite some time now and we are seeing higher list prices and more new construction as a result. When you are ready to sell your home you need to be aware there is a vast difference between the listing services many real estate companies in Sarasota provide. One of the biggest misconceptions is bigger is better. Many sellers believe the larger and more well-known the company, the better chance you will have to sell your home quickly and for a higher price. This certainly is not true. Out of state buyers looking to purchase a home here do not know one company from the next and when the playing field has been leveled, it is the brokers with the greatest exposure to buyers that sell properties in the shortest amount of time. The biggest problem with listing your property with a large brokerage is the dilution of the marketing services they provide. If you list your home with a brokerage that has a large number of agents and listings, your home simply will not receive the focus and personal attention it needs to sell quickly. Your listing becomes one of the many that are tossed into the MLS pool and it literally becomes a luck of the draw as to when your home sells. Seldom will you ever see the agent and big brokerage who lists your home bring you the buyer. 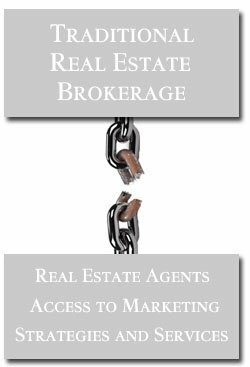 Traditional real estate brokerage business models only provide basic real estate services. The marketing services you are likely to receive from traditional real estate brokerages are only going to be as good as the agent you are working with. When a name-brand brokerage hires an agent, they basically leave the marketing of the listings to the agent that procured them. Considering there is no requirement for an agent to have any sales or marketing experience to work for these brokerages, it is the home owner trying to sell his property that suffers the most. Agents of Sarasota Bay Real Estate on the other hand are experienced in sales and marketing, in fact, all of our agents and broker associates must have demonstrated a proven track record of real estate sales experience in order to have a position with our company. When you are working with an agent or broker associate of Sarasota Bay Real Estate, you are indeed working with some of the best real estate marketing professionals in Sarasota. At the company level, Sarasota Bay Real Estate provides marketing services that best suit the price point since there is not a “one size fits all” approach to marketing real estate. Our core marketing services and strategies for selling real estate are company developed and overseen by a veteran marketing professional with 20 years of corporate marketing experience. 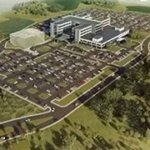 Our corporate-level marketing reach extends miles further than any real estate associate alone can provide, and by taking advantage of marketing strategies and partnerships that provide a multiplier-effect, home sellers that list with our company receive the greatest market exposure for their property. All of our marketing strategies are also backed with extensive marketing research performed by the National Association of Realtors. This marketing research has been used in the development of every piece of marketing collateral we use. From the development of our company website to our offline marketing strategies, you simply will not find a company with a more refined and well-tuned marketing plan for your property that clearly defines the buying preferences of today’s savvy home buyers than Sarasota Bay Real Estate. 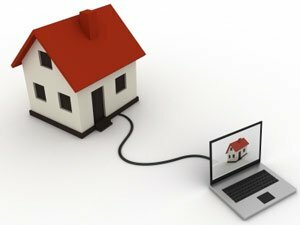 Our Internet marketing assets receive more than 800 unique visitors a day that view more than 150,000 listings each month. We are one of the very limited few that have exposure on the first page of search results in Bing, Yahoo, and Google for “Sarasota Real Estate.” This exposure gives us access to more buyers than 99.9% of all real estate agents and brokers in the Sarasota market. If you are going to list your home for sale, the most important thing you can do is list your property with a company that has a strong internet presence and deploys the technology used by more than 90% of buyers searching for a new home. Sarasota Bay Real Estate also has one of the best listing guides used in our industry. This guide will assist you in making a well-informed decision when it comes to selling your home. This guide explains everything you need to know about selling your property in our market and clearly defines what Sarasota Bay Real Estate representation means to you. We do not make any false promises or fail to disclose anything in our listing agreement with you. If you receive one of our guides to selling your home with your listing agreement, you will know exactly what to expect when you work with our company, understand the process completely, and have the best tips and advice on what it will take to sell your property for the best price in the shortest amount of time possible. If you would like to receive more information on what Sarasota Bay Real Estate can do to sell your property, please feel free to contact our Sales Manager to schedule an appointment. In addition to being the one who will oversee the development of the strategy used to sell your property, Christina Miller can also match you to the right representative of our company or can assist you personally during the listing period. Christina can be reached directly at 941-713-2340. If you have previously received information from one of our agents and you are just conducting a bit of preliminary research on Sarasota Bay Real Estate before making the call, Please do call the agent or broker associate that has sent you information about our company. You will be well taken care of as all of our agents and broker associates are professionals and masters at assisting sellers with real estate transactions. 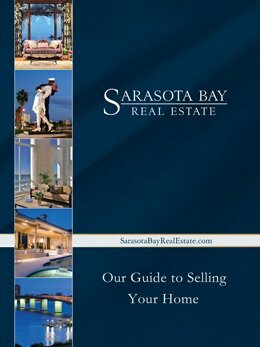 Be sure to request the Sarasota Bay Guide to Selling Your Home from the agent or broker associate you contact. They will be happy to bring a complimentary copy to you and explain the entire selling process and answer any further questions you may have.